Staying in North Wales for the first time for a number of years opened up some great opportunities for photography. So many quality locations but which to choose first? We decided to start by visiting the lighthouses on Anglesey and so on the first day we headed over to Penmon in the morning. The weather was changeable, but in between the rain showers I managed to get a few photos. While I was focussing on the lighthouse, Penny meanwhile thirty metres away had an amazing experience of seeing a Stoat that appeared out of the grasses to take ownership of a dead rabbit! While Penny stood there recording the event on her phone it proceeded to tug and pull the carcass (twice or three times its size!) back into the long grass and away from human interference. After getting a bite to eat at the local cafe, we headed off to the north west coast of Anglesey, to South Stack, following the recommendation of another photographer. Arriving mid-afternoon, we had further sustenance in the RSPB cafe and seeing that the weather looked promising decided to stay to watch the sunset - which meant waiting three hours! It was well worth the wait, as well as bracing myself against an insanely strong wind to get the photos during the time there. The only disappointment being a realisation when returning to our home base, that sea spray had got on the lens and ruined a number of shots due to the sun causing lots of lens flare. But I still came away with some good records of the day. 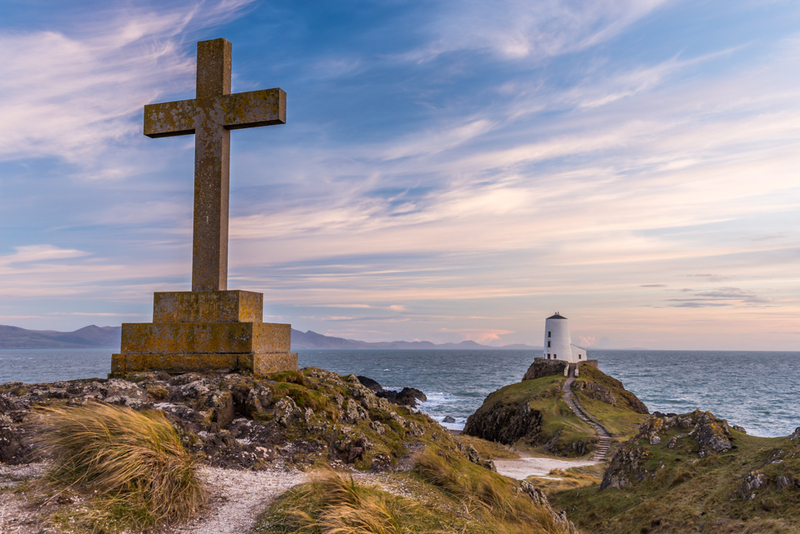 The second day of our week stay we ended up at Llanddwyn Island so I could get some shots of the iconic lighthouse at the end of the island as the sun was setting. The sunset didn't turn out quite as expected, but still created some great atmosphere to finish off the second day before walking back to the car in near darkness. The Scottish Highlands and Glen Affric - Winter at Easter!